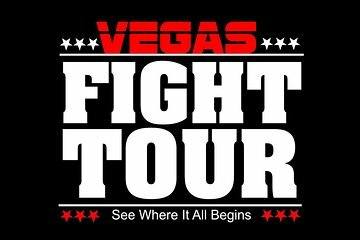 Discover the Las Vegas fight scene on this 3-hour adventure into the world of MMA and professional boxing. See what top-ranked fighters do before entering the ring or cage. Visit four premiere Sin City gyms: Mayweather Boxing Club, home to undefeated world-champion boxer Floyd ‘Money’ Mayweather; legendary boxing gym Johnny Tocco’s, the training ground for some of the biggest names in boxing history; Xtreme Couture, owned by UFC legend Randy Couture and Wand Fight Team Gym, considered to be the best MMA gym in the world. Chris was an awesome tour guide with firsthand experience working for the UFC and Laila Ali. We visited 4 gyms, watched Randy Couture film a commercial, spoke with Floyd Mayweather’s team, met Kelsie Banks (Olympic boxer) and Crystal Hoy (17 years as a women’s boxing competitor) and many more trainers and behind the scenes staff members. We will definitely tour again the next time we visit Las Vegas! An amazing experience for any fight fan! Terry Wade was an excellent tour guide, very knowledgeable and engaging. I would thoroughly recommend this trip.